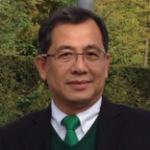 Interview with Dr Supachai Tantikom, Bangkok Chief Resilience Officer. Bangkok needs to “break the cycle of reacting to problems”, says Dr Supachai Tantikom. Tantikom is Chief Resilience Officer of Bangkok, advising the city’s Governor on how to prepare for future challenges. The city has seen “unprecedented change” in the last decade, he says, becoming a major centre of commerce and culture in Asia. It has brought about massive migration of people from surrounding areas of Thailand to the city. But the development has “not been universal”. It has created congested streets, poor air quality, frequent flooding and stressful lifestyles. “Our natural environment and the health of our residents have suffered with the expanding development,” Tantikom says. Bangkok needs to “set out a more deliberate course to ensure our city is resilient”, he adds. Bangkok’s reputation for bad traffic precedes itself. It experiences the second worst traffic in the world after Mexico city. The key challenges are insufficient public transport and increasing private car ownership, Tantikom says. The city is planning a massive expansion of its mass rapid transit network from the existing 100km to 500km over the next 10 years, he says. It will also need to improve connectivity between the different train lines so commuters can transfer from one to the other easily. “There is still no proper connection between the systems”, he says, and people need to purchase a ticket every time they change from one line to another. And over the next few years, there are plans to construct a monorail feeder and light rail system as part of this interconnected mass transit system. Another unique aspect of the Bangkok experience is water-based transport to various parts of the city. The transport expansion will see the integration of water-based transport networks with the road and rail networks to encourage commuters to use ferries more often. The Chao Phraya river meanders through the heart of Bangkok. For as long as the city has existed, the river has been a lifeline. But in 2011, it breached its banks and flooded the capital city. The damage to the global supply chain is estimated to be US$45 billion. The city’s main defences against such events today are dikes to prevent water from entering, and pumps to get excess water from canals to the river. But this was first proposed in a plan more than 25 years ago, and “cannot work any more”, Tantikom says. The water is not going away, and climate change is bringing extreme weather events into the mix. The city needs to “learn to live with water in new and different ways”, Tantikom believes. “We are going to do a new masterplan”, he adds, studying the entire catchment area of the Chao Phraya river to understand what it will bring in the future. Approximately 25 million people visit Bangkok every year, but the city needs to attract even more. “We want to have a resilient economy, so we need to have different sources of income, besides exporting,” Tantikom explains. Bangkok’s megamalls are attractive, but what concerns Tantikom the most is tourists’ safety. 25,000 people die in Thailand of road accidents, and he believes this is one of the greatest deterrents for visitors. “We want to reduce the cause of death from traffic,” he says. Drunk and speeding drivers are the major causes, he says. “We want to change the driving behaviour of people,” he adds, starting with young children. The city plans to train them to grow up to become better drivers, but also “use them as a tool to change the driving behaviour of the parents.” Targeting younger residents, he says, was “very successful” with the city’s anti-smoking campaign. The city is also working on a citywide driver behaviour change campaign, and will enhance the safety training of Public Works Department staff to minimise accidents due to poor road conditions. And much like several other cities in the region and beyond, it is exploring the implementation of driverless vehicles, which could help reduce both congestion and road accidents. Bangkok is a bustling, thriving tourism destination, boasting culture, attractions, nature and some of the best food Southeast Asia has to offer. By gearing up to face tomorrow’s challenges head-on, it can add one more to the list – resilience.